Juniper Networks is enhancing the partner experience by evolving its award-winning partner programs and making them easy to use. Partners can expect investments in high-growth markets and greater rewards for growing their business with Juniper and Westcon-Comstor. Face-to-Face Sales Model. Qualified solution providers have outbound sales representatives and practice a face-to-face selling model. Pre-Sales Support. 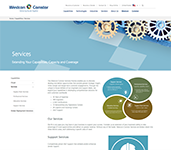 They offer their end users pre-sales support, networking design, configuration and troubleshooting. Services and Support. They resell Juniper Networks–branded services and earn a commission, offer standard installation and configuration services directly, and handle all aspects of support contract renewal with their end users. Complementary Products. They sell complementary products and services, deriving a significant portion of total revenue from sales of complementary products. Authorized Distributor Agreement. 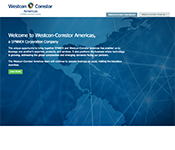 They have a valid account with Westcon-Comstor, an authorized Juniper Networks distributor. The Juniper Rewards Program rewards partners and fuels growth with Juniper Networks solutions. To begin learning more and earning more with Juniper Partner Rewards, please contact your Westcon-Comstor Account Manager.